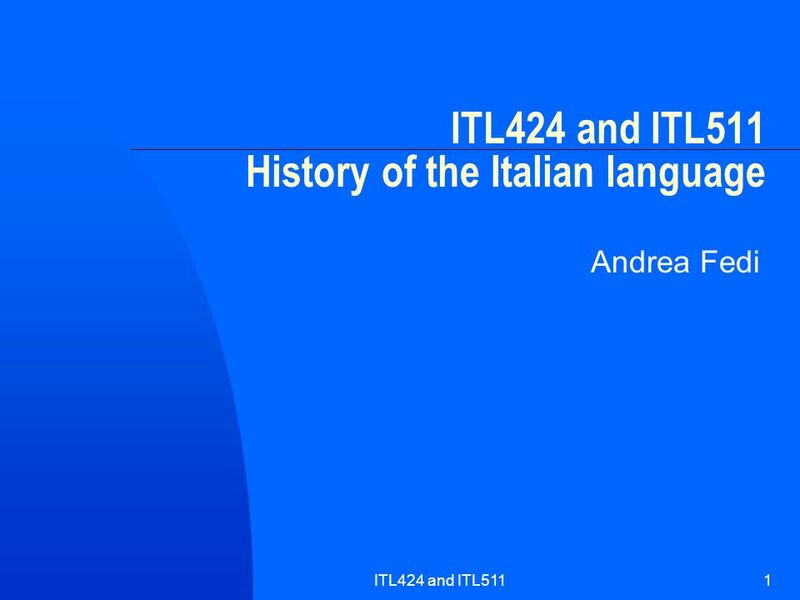 ITL424 and ITL5111 ITL424 and ITL511 History of the Italian language Andrea Fedi. 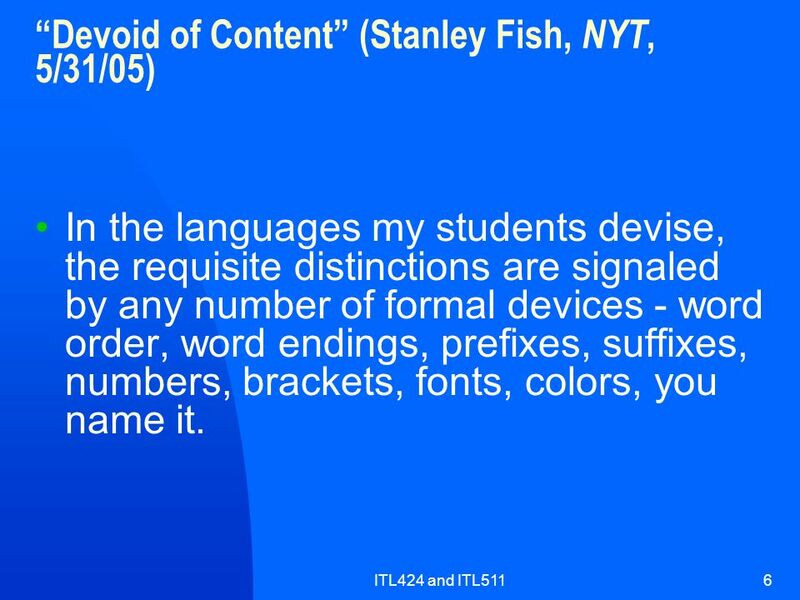 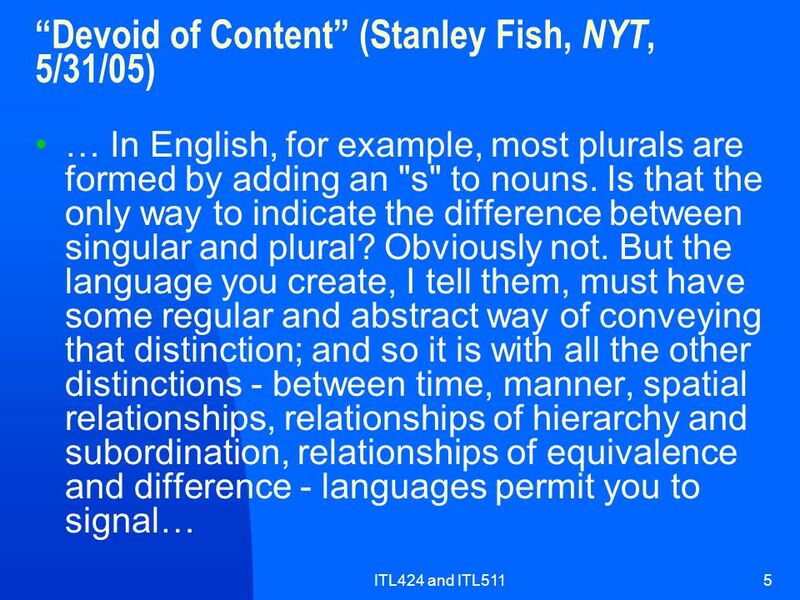 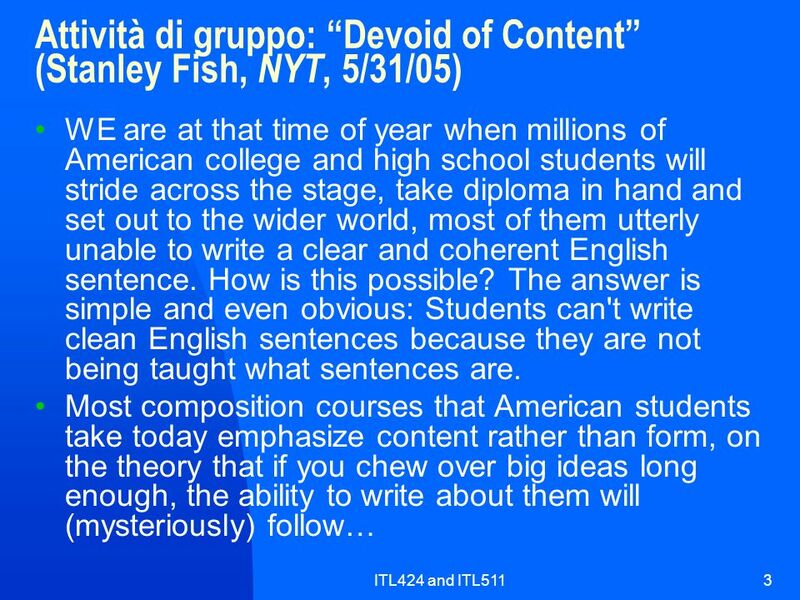 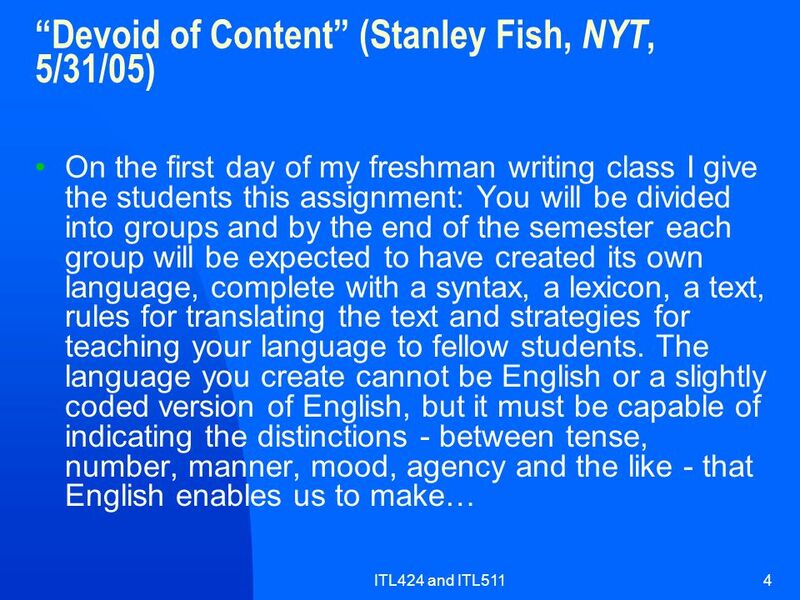 6 ITL424 and ITL5116 Devoid of Content (Stanley Fish, NYT, 5/31/05) In the languages my students devise, the requisite distinctions are signaled by any number of formal devices - word order, word endings, prefixes, suffixes, numbers, brackets, fonts, colors, you name it. 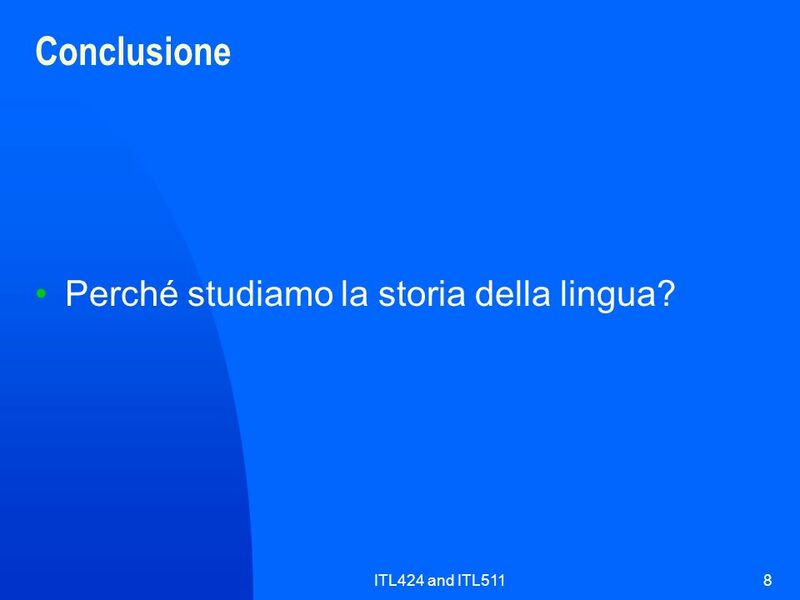 8 ITL424 and ITL5118 Conclusione Perché studiamo la storia della lingua? 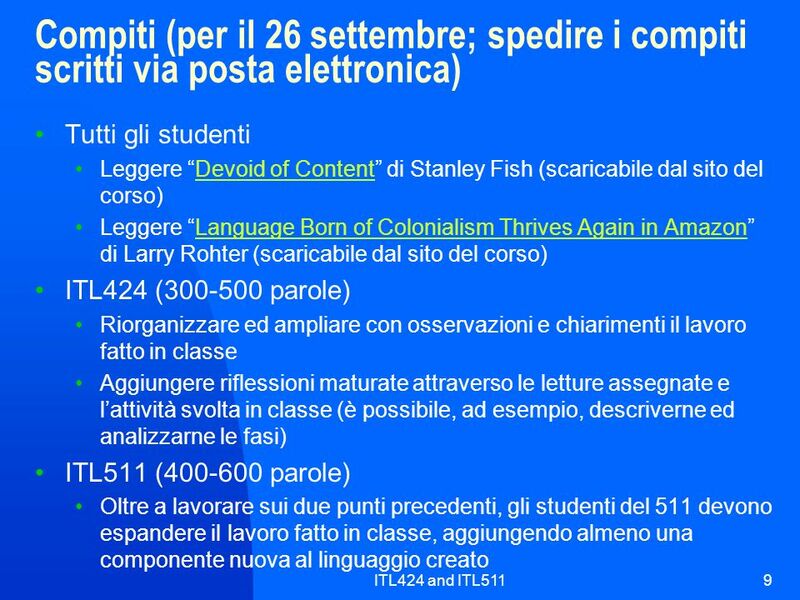 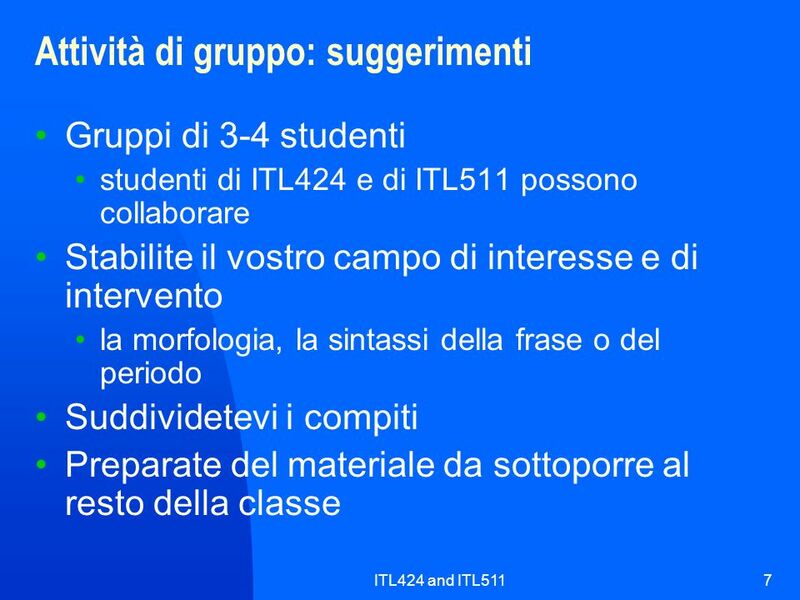 Scaricare ppt "ITL424 and ITL5111 ITL424 and ITL511 History of the Italian language Andrea Fedi." 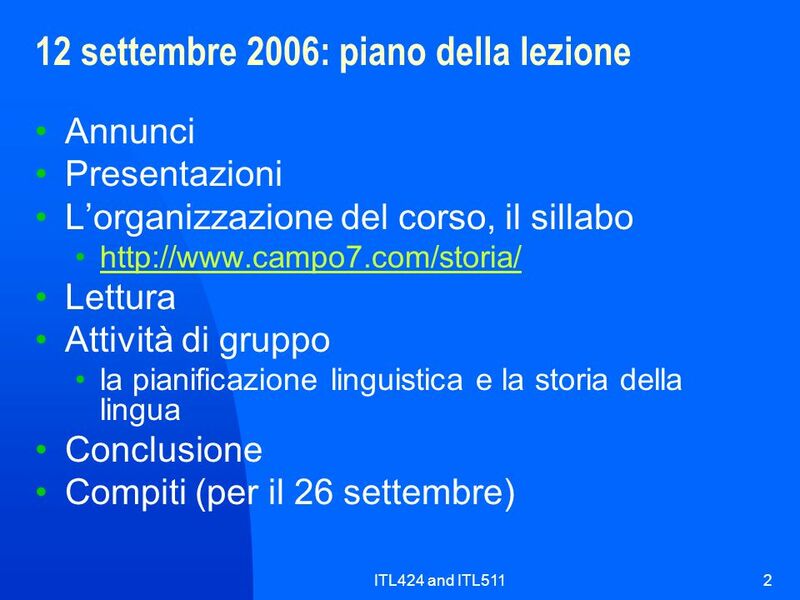 Primary Italian Saying How You Are.